You are not going to be able to cook world-class meals unless you are equipped like a pro. If you would like to take your outdoor cooking to the next level, then read ahead for a look at some devices that might transform the way you grill, smoke, and barbecue. 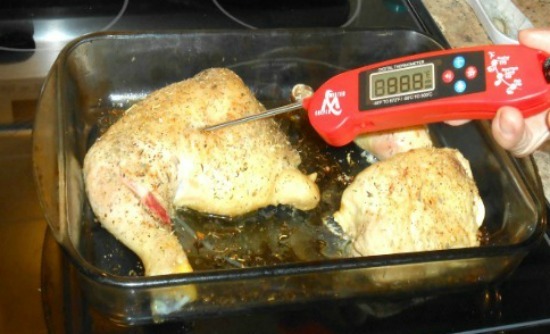 Purchasing a digital meat thermometer is one of the best investments any cook can make no matter what style of cuisine they prefer. Instead of fretting over temperatures, these devices will allow you to cook the perfect cut of meat every time. Many newer thermometers even come with Bluetooth technology that will send the information directly to your phone, tablet, or computer. Coaxing a great flavor out of your meats without a professional smoker is going to be nearly impossible without high-quality wood chips or pellets. As a general rule, you want to use softer and “lighter” woods for more delicate dishes such as fish, chicken, and vegetables. Oak chips and mulberry pellets, on the other hand, can be used for red meats, aromatic fish, and pork. Once you are comfortable using your grill or BBQ, you can then think about upgrading your collection with a stainless steel smoker box. Modern boxes take much of the guesswork out of smoking with adjustable ventilation holes and ports to add more pellets. Those who have a smaller area to cook in can buy a smoker box that goes directly over their grill or BBQ. Anyone who has ever attempted to cook smaller vegetables or flaky fish without a grilling basket has no doubt struggled with a messy workspace. Having an adjustable basket to grill similar items will ensure that you get the perfect char without overcooking anything. Trying to cut barbecued meats and vegetables with a generic chef's knife can be unwieldy and dangerous. Slicing knives are generally a little bit larger and tend to have scalloped blades. The indentations on the blade will allow you to make thin, even cuts no matter what dishes you are preparing. Cooking outdoors will add another level of complexity to your meals, but the results are almost always worth it. Perfectly grilled and smoked meats taste unlike anything else in the world, and you are sure to impress your loved ones next time you plan on showing off your cooking prowess. These are great tips to help a cook grill, smoke and/or barbecue better. I need to buy a grilling basket and a smoke box.